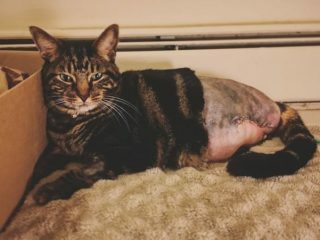 Don’t let your cat’s amputation pain get out of control. 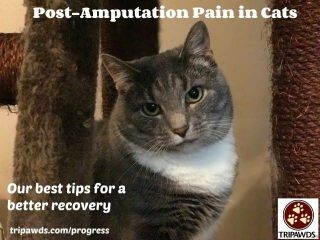 Follow our best post-amputation pain in cats management tips for a speedy recovery. Cats are far superior to dogs when it comes to hiding that they hurt. 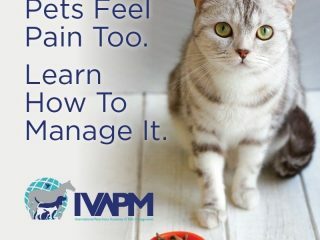 That’s why we’re kicking off Animal Pain Awareness Month with a close up look at symptoms of pain in cats and what to do about it. 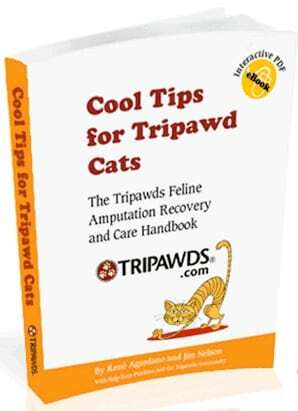 Three-legged cats are the subject of Tripawds.com’s latest project, the Cool Tips for Tripawd Cats book about feline amputees. 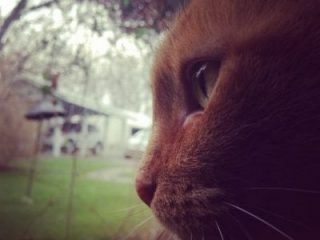 In this informative post about how cat cancer, oncology and radiation affects felines we learn from Dr. Sonia Honkisz, DVM MS, assistant professor of oncology at the College of Veterinary Medicine, Michigan State University. 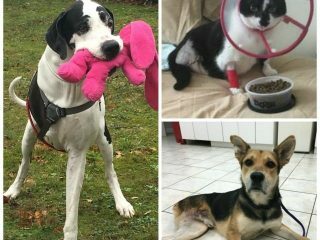 Tripawd Tuesday salutes Feta and Cheesecat, who prove that three legged cat rehab therapy is totally pawesome! 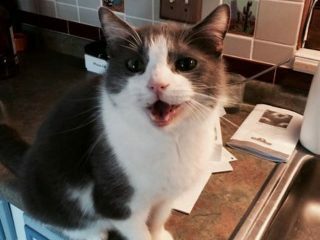 Share your Tripawd story and help ease the fears of worried pet parents facing amputation for their dog or cat. 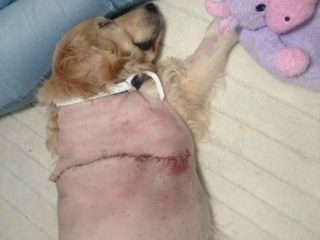 Do your friends and family disagree about amputation surgery for your cat or dog? Are you having a hard time deciding about amputating your pet’s leg? These Tripawds Community tips will make the process easier for you. Looking for tips for three legged cats? 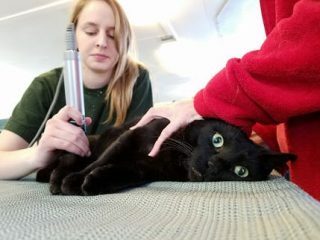 This list of Tripawds blog posts shares cat amputation recovery, health and nutrition tips.